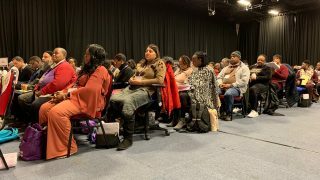 As one of the sacked women workers employed by Grunwick, a film-processing firm based in north London, Jayaben fought for better pay, conditions and dignity for workers in 1976 and 1977, on behalf of 137 sacked and poorly paid Asian women. 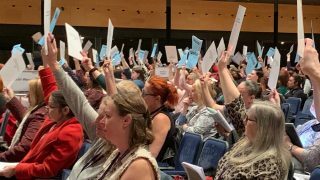 At first she and her fellow workers were not in a trade union, but after a visit to the Trades Union Congress, she and her workmates joined Apex, which is now part of the GMB. Their struggle was supported by Brent Trades Council. 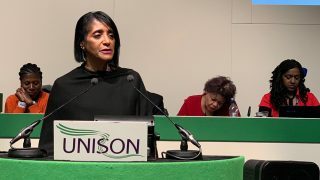 This was the beginning of a legendary battle for trade union rights, it was to become a watershed for British trade unionism and Jayaben Desai was to become an inspiration to a generation of trade unionists, and beyond. Famously, she told her factory manager, “What you are running is not a factory, it is a zoo. But in a zoo there are many types of animals. Some are monkeys who dance on your fingertips. Others are lions who can bite your head off. We are those lions, Mr Manager”. Jayaben Desai, union activist was born 2 April 1933 and died 23 December 2010. 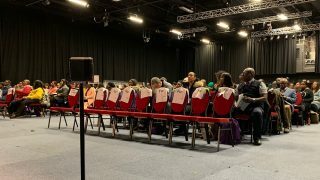 This Black History celebration event will feature Jayaben Desai’s struggle and will allow some prominent modern day trade unionists to describe how she helped to shape their views and working lives. Kamaljeet Jandu will explore lessons for unions from that struggle in meeting the ongoing challenge of ‘organising migrant workers’ today. There will be plenty of time allowed for contributions from the audience. The event is on October 2nd, 5.30pm for 6pm start, concluding with a short drinks reception 8pm-8.30pm. This section is for Black members. 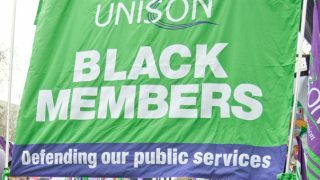 UNISON’s Black members group works to improve equality in the workplace and challenge racism and discrimination.